The period of the First World War was a special time for transport. Soldiers who used horse transport until then had to get used to new means of communication. 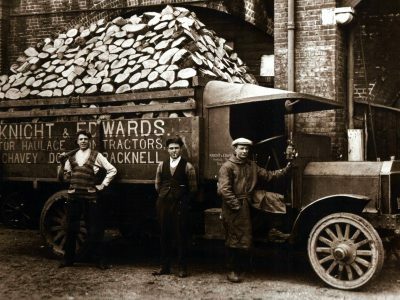 Trucks and buses were exploited to the maximum, becoming an indispensable and increasingly professional element of the ongoing struggles from day to day. During the war, professional road transport was born, which covered all transport tasks: from transporting soldiers to towing department. 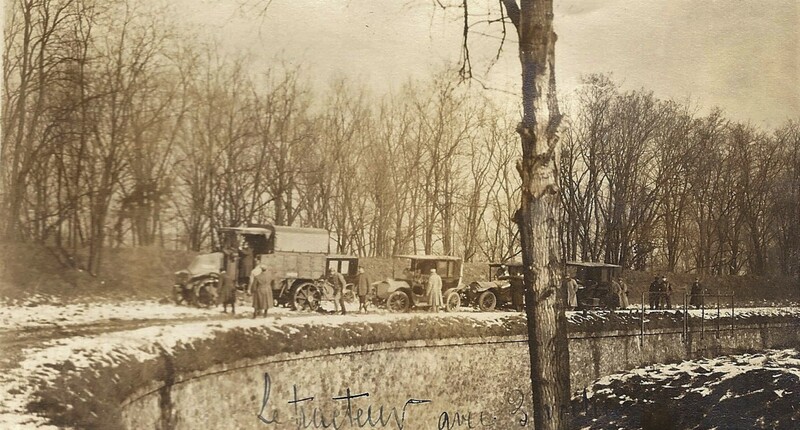 The correspondent of the American Motor Age magazine wrote in January 1916, how French soldiers are transported from the trenches for 10 miles from the front by lorries. 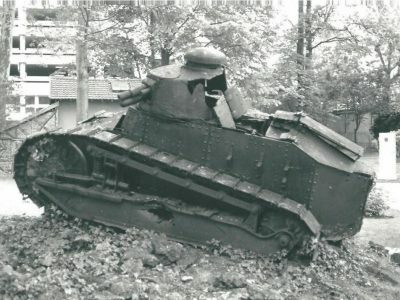 These were French models, often requisitioned at the beginning of the war. It was easy to recognize them because of unpainted inscriptions and colorful patches of protective painting. The names of previous owners disappeared only during the general overhaul of the truck. The French also used American cars. Some of the requisitioned vehicles had steel wheels whose sale has been banned for over a year before the war. – Each truck has a hammock for the driver and his helper – this is how the „sleeping cabin” was described. The army had to learn the organization of car transport, get used to the faster speed and load capacity in relation to the horse, but also had to take into account the delivery of fuel and spare parts. 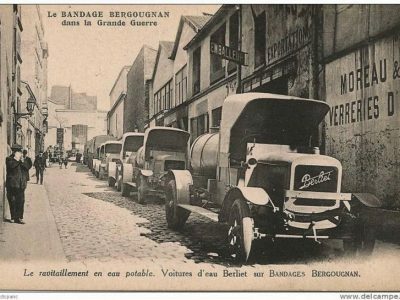 In the period from August 1914 to May 1920, the British sent 172.5 thousand tonnes of spare parts to France and 875.6 thousand tonnes of gasoline and lubricants. British command did not predict that there is a different climate on the continent than on the islands. The cabins of the requisitioned London buses were open and did not protect against the freezing wind, snow and rain. Buses brought the infantry to the front. To avoid detection, metastasis was performed at night, with lights off, which in turn increased the risk of an accident, running into a ditch or falling into a hopper after a bullet. In such conditions, the speed did not exceed 5 km/h. The cars worked 7 days a week and were repaired only when they broke down. In December 1916, the condition of the buses was so bad that I was taken over by the headquarters, creating a central bus park. Its creation made it possible to rotate the rolling stock and conduct preventive repairs. Always two buses were undergoing a general overhaul, and the workshop could also undertake urgent work. During the German offensive in 1918, buses worked for 60 hours. In the last days of March 1918, buses transported over 200 thousand soldiers, contributing to the collapse of the German attack. Despite the central management of the fleet, in 1919, 90 percent. the London buses serving on the front were so damaged that they could not be repaired. The city regained only 150 cars with more than 900 delivered to the front. 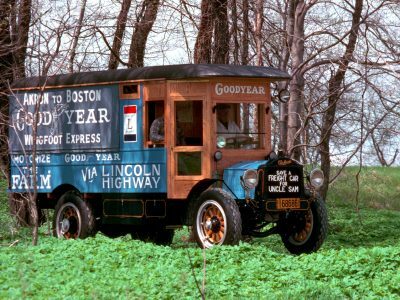 In the next episode of Transportation History in Trans.INFO: How the army trained drivers and mechanics.